The MAX-700B/C Series is the first tablet-inspired OTDR line that is handy, lightweight and rugged enough for any outside plant environment. With a 7-inch, outdoor-enhanced touchscreen–the most efficient handheld display in the industry–it delivers an unprecedented user experience. Its intuitive Windows-like GUI ensures a fast learning curve. 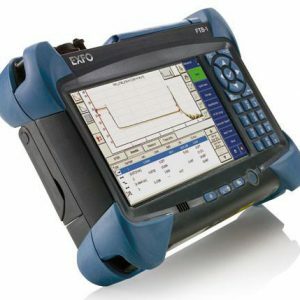 Plus, its new and improved OTDR 2 environment offers icon-based functions, instant boot-up, automatic macrobend finders as well as improved auto and real-time modes. The Max-700B/C Series is a line of genuine high-performance OTDRs from the world’s leading manufacturer. It delivers EXFO’s tried and true OTDR quality and accuracy along with the best optical performance for right-first-time results, every time. The amazing 12-hour battery life will never let a technician down, and the plug-and-play hardware options, like the VFL, power meter and USB tools, make every technician’s job easier. Most importantly, the Max-700B/C Series is finally bringing the iOLM, an intelligent OTDR-based application, to the handheld market. This advanced software turns even the most complex trace analysis into a simple, one-touch task. Ultimately, the Max-700B/C Series is small enough to fit in your hand and big enough to fit all your needs! 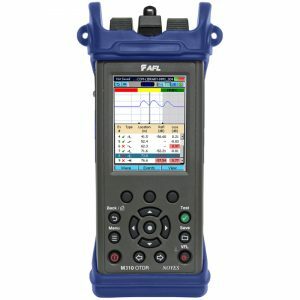 This unit is a genuine last-mile OTDR from the world’s leading manufacturer. It delivers EXFO’s tried and true OTDR quality and accuracy along with the best optical performance for first-time-right results, every time. It is optimized for the point-to-point testing and troubleshooting of FTTx architectures, and is ideal for testing short fibers (e.g., inside a CO environment or at FTTA/DAS network installations).